BEIJING, Sept. 7--Chinese President Xi Jinping's upcoming visit to Russia is expected to inject new impetus to the two countries' comprehensive strategic partnership of coordination, a senior official said Friday. The Chinese Foreign Ministry announced that Xi would attend the fourth Eastern Economic Forum from Sept. 11 to 12 in Vladivostok, Russia, at the invitation of Russian President Vladimir Putin. 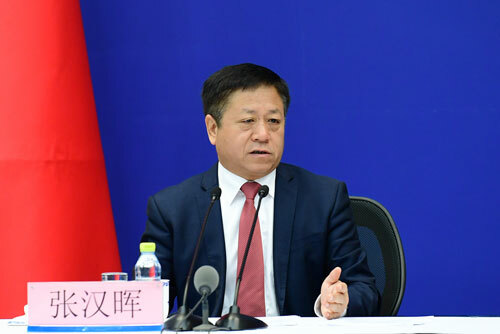 It will be the very first time for the Chinese head of state to attend the Eastern Economic Forum, marking the most important high-level exchanges between China and Russia in the second half of the year, assistant foreign minister Zhang Hanhui told a press briefing. The Eastern Economic Forum, proposed by Putin in 2015, represents Russia's efforts to push forward cooperation in the Far East, he said. According to Zhang, Xi is scheduled to attend several bilateral and multilateral events, among which will be the two presidents' third meeting this year, the signing of documents, a joint meeting with the press, and a banquet. "The two heads of state will also attend some activities to facilitate people-to-people exchanges and economic and local cooperation," Zhang said, adding that Xi will deliver a speech at the annual meeting of the forum, and have friendly communication with other state leaders. Depending on the situation, Xi may also attend some other activities of the forum, Zhang added. With the strategic guidance of Xi and Putin, Zhang said, the China-Russia comprehensive strategic partnership of coordination has progressed well and ushered in a new era featuring high level and remarkable development. 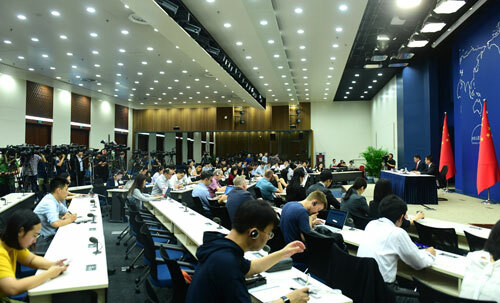 Xi's upcoming presence at the forum signifies the continuation of the two countries' tradition of supporting each other in holding important international activities, the importance attached by the Chinese side to participation in cooperation in the Far East, and its firm determination to further development and prosperity in cooperation with other countries in the region, Zhang said. Xi's participation is expected to guide bilateral relations to maintain high-level development, promote bilateral all-round cooperation, promote bilateral cooperation in the Far East to yield new outcomes, jointly boost peace, stability, and development in the region, and bring benefits to people in various countries, he said. Zhang said he believes with the joint efforts of both sides, Xi's visit will be a complete success.